When we talk about South Africa, we often think of the very famous “Big Five” (Lion, leopard, elephant, hippos and rhinoceros) that were considered the most dangerous to hunt in the old days. Although charismatic, they are not alone in populating our savannahs and forests. For this posts, I chose to tell you about our dear hairy cousins. In South Africa, there are 5 species of primates. 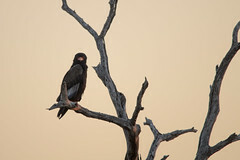 The largest are chacma baboons, Papio ursinus. Then we find the Vervets, Chlorocebus pygerythrus, and Samango, Cercopithecus albogularis. 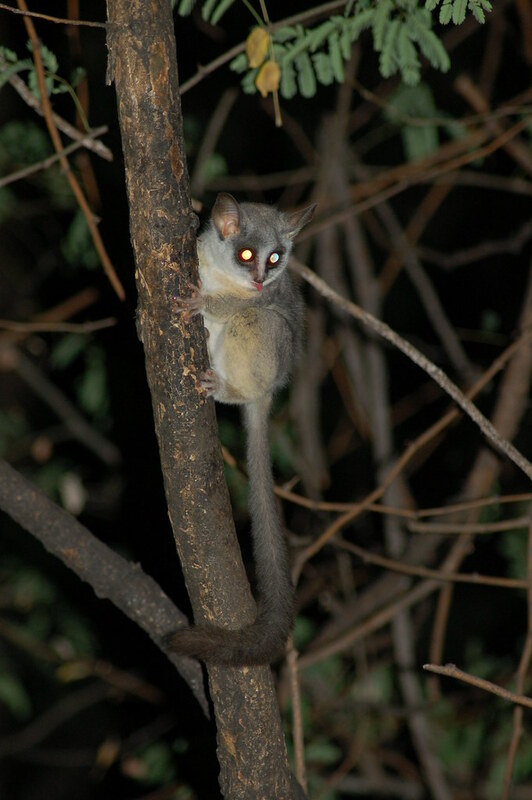 Finally, we have the small ones, the cute bushbabies, Galago moholi and Otolemur crassicaudatus. These last two species are rather discreet and nocturnal (and present in the north of the country), I have unfortunately not yet had the opportunity to take pictures myself. 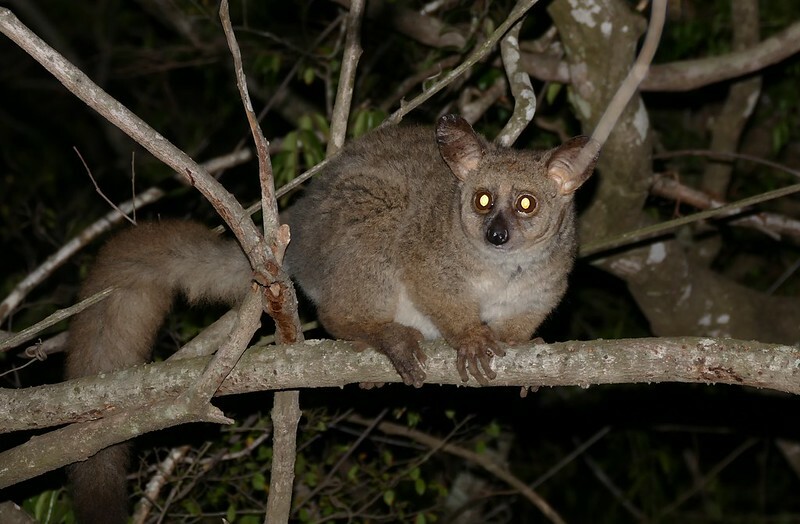 After gthe bushbabies, the samangoes are, in my opinion, the most fun. Indeed, it is better to be wary of baboons and vervets: besides aggression, they are malicious thieves! Samangoes are not so common and so widespread. They are found mainly in the coastal forests north of St Lucia and in the Afro-Montane forests of Mpumalanga. 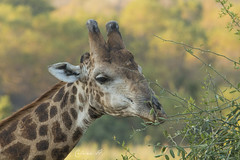 They eat mainly fruits, insects, flowers and leaves and live in harems. 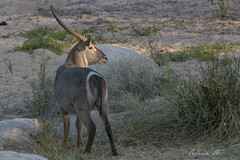 At present, they are not considered threatened although the trend seems to be decreasing. 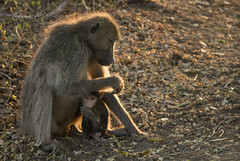 Chacma baboons are the largest primates in South Africa. Like vervets and samango, they form groups where social interactions are very important. During my various visits, I learned a little about these ferocious creatures: never to look them straight in the eyes or yawn, it could be taken for dominance. And baboons, they can quickly become aggressive. Like the vervets, they learned to take advantage of their cohabitation with the man … They would steal food even inside a tent (and yes, they open the zippers!). The vervet monkeys are everywhere. So much so that they are considered pests. They are serious pilferers and have developed great pickpocket skills. Beware of your cabinets (even with locks) if you left an open window. They also like a lot of marauding in the vegetable gardens. Indeed, they learned to flourish in an urban environment thanks to their rather opportunistic diet. Here, talking about vervets can quickly become a subject of great debate. Personally I find it very amusing to observe a troop of vervets playing in the back of my garden. Unfortunately, as they are as present as pigeons in Europe, I do not think to take pictures of them. We’ll have to fix it!